But the company prefers to call it by a different name. Building off its previous relationship with Reliant, a Texas-based subsidiary of NRG Energy, Nest has unveiled residential demand-response programs with Austin Energy, Green Mountain Energy and Southern California Edison that use the Nest thermostat as a platform for managing energy during peak times. Nest doesn't call the offerings "demand response" -- an industry term that many consumers probably wouldn't relate with. Instead, the company calls its program Rush Hour Rewards. But the premise is the same: consumers in participating utility territories can get compensated by having their thermostats adjusted during times of high demand. 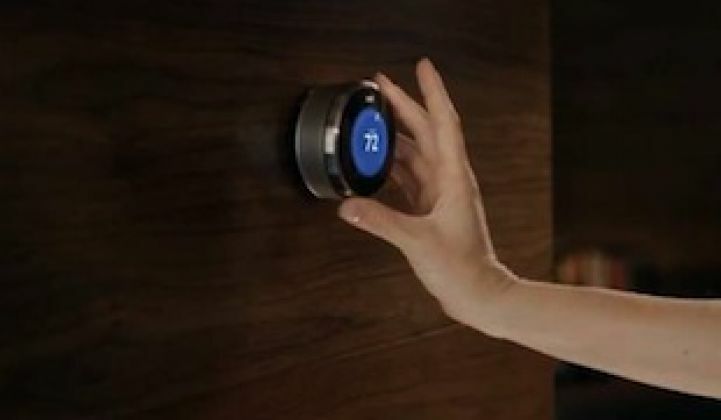 Nest says it could save consumers up to $60 per season. 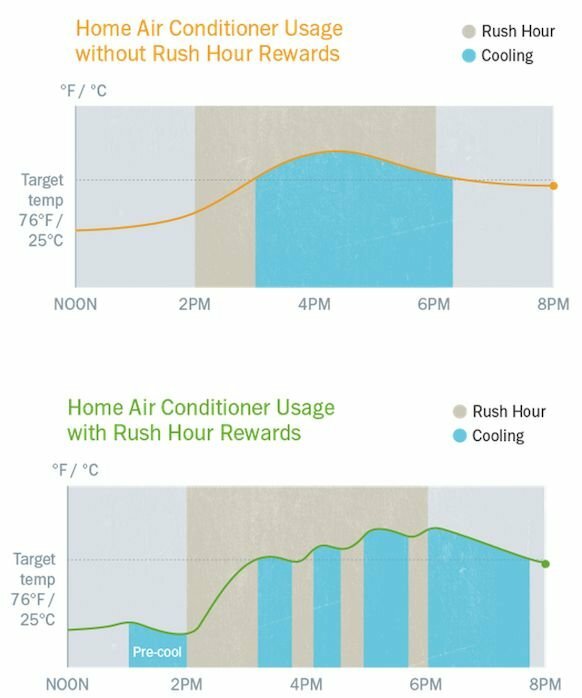 Nest also unveiled a new offering called Seasonal Savings that automatically adjusts thermostats as seasonal changes occur. The device ramps temperatures up or down a few degrees over a multi-week schedule as the season changes, thus limiting a potential energy spike when homeowners crank the thermostat in reaction to dramatic temperature shifts. Nest says that early deployments indicate energy savings of 5 percent to 10 percent -- with the vast majority of participants unaware of the temperature changes in their homes. Both of these programs are controlled by Nest's automatic learning functionality it now calls Auto-Tune. Nest's announcement is consistent with what other companies in the space are doing to leverage residential demand response capabilities. In January, Akuacom, Honeywell and Opower partnered to create a residential demand-response platform through smart thermostats, and in February, Carrier partnered with ThinkEco to integrate touch thermostats into residential programs. Over the years, more utilities have rolled out programs to test how smart thermostats can help manage peak demand in the residential sector. So the concept behind what Nest is doing isn't exactly new. Nest is taking what other smart thermostat companies are already doing and using its branding power to create buzz. (After all, its founders came from Apple, a firm that knows all about how to build consumer and media anticipation for a product.) But it's certainly an important announcement given the scope of these utility partnerships, which will give Nest a chance to move away from marketing straight to consumers, utilize deeper sales channels and prove its value to the grid.